The skyline at Townsville port has changed today with Northern Stevedoring Services (NSS) taking delivery of a Liebherr LHM1300 mobile harbour crane at the Port of Townsville. Due to the growth of stevedoring services in the region, NSS has secured the harbour crane from Melbourne. The crane offers NSS customers an improved productivity when compared with using ships cranes, better berthing options for vessels that do not have ships cranes, improved capacity for project cargoes and additional risk mitigation against crane outages in the port. “NSS continues to invest in productive capacity in the regions stevedoring, transport and logistics services. We have a firm focus on growth and with this comes the creation of exciting new job opportunities for locals,” says General Manager Todd Emmert. NSS commitment to regional Queensland is further evidenced by its recent announcement that it is entering into a 25-year lease for a three-hectare cargo depot directly adjoining Auckland Point four berth in Gladstone. 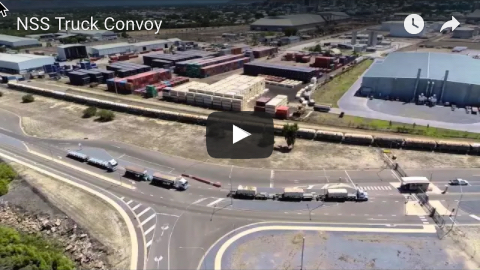 This depot will support the stevedoring, transport and logistics services supplied by NSS to importers and exporters in Gladstone. This is a significant development in a port that has previously been serviced by a single stevedoring company, Patrick. “NSS investment in Gladstone provides customers with choice. 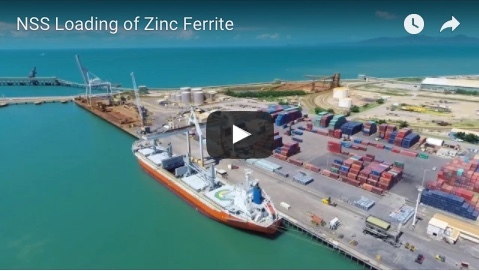 NSS remains confident that our flexible and competitive stevedoring services, combined with our landside logistics capabilities will provide a welcome change to the general stevedoring market in Gladstone,” he says. NSS is headquartered in Townsville and operates in Gladstone, Mackay, Cairns and Weipa Ports.